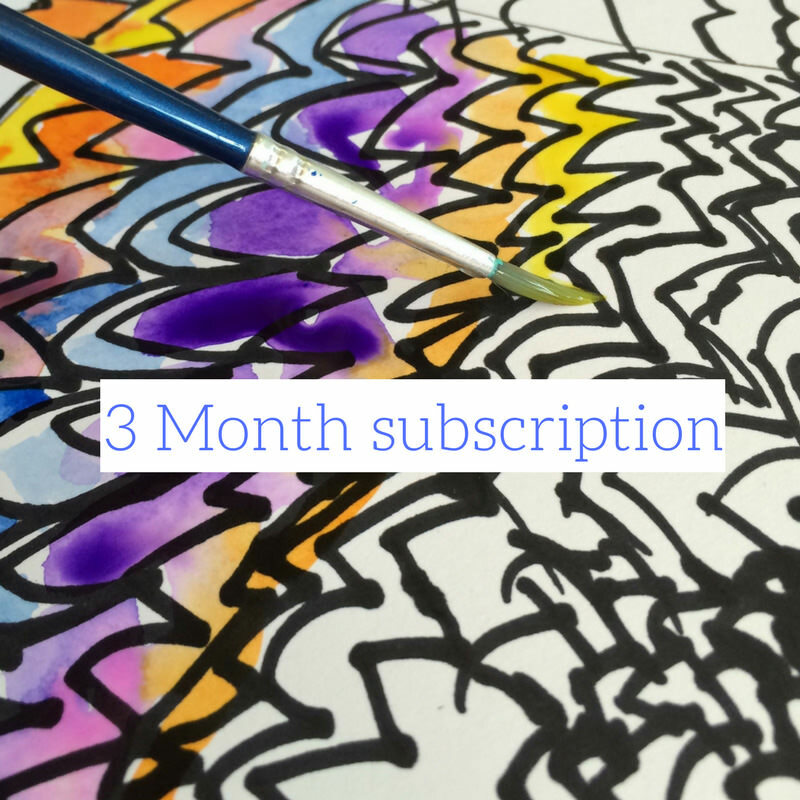 Choose from a one off or 3 or 6 month package, then at the start of every month, your art pack will arrive with 4 or 5 inspirational lessons ready to create. 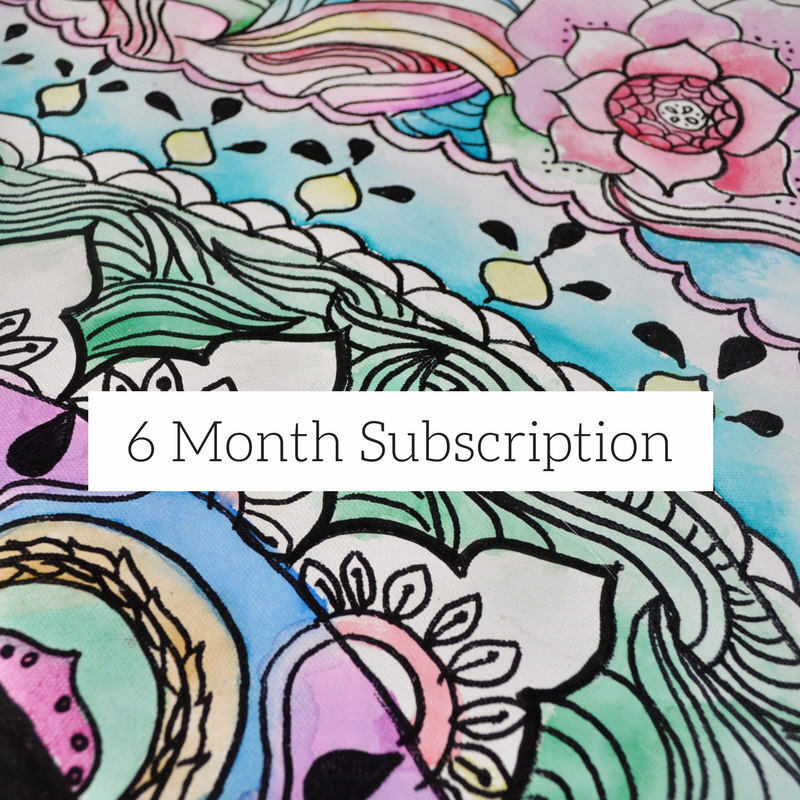 Each monthly pack is seasonally themed and will give a wonderful cross section of many art forms and technique. 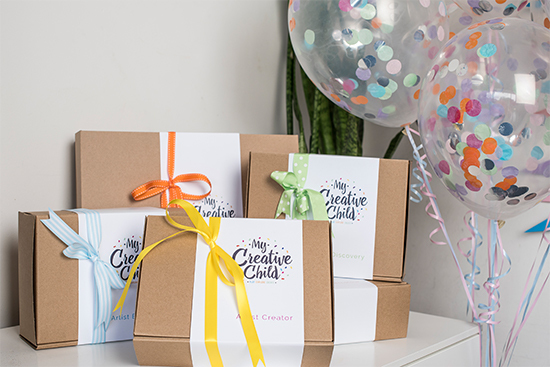 Two main age groupings make sure everyone in covered and ready to create with age appropriate ideas, inspiration and quality materials, under 5’s for pre-schoolers and Over 5’s for school age children. 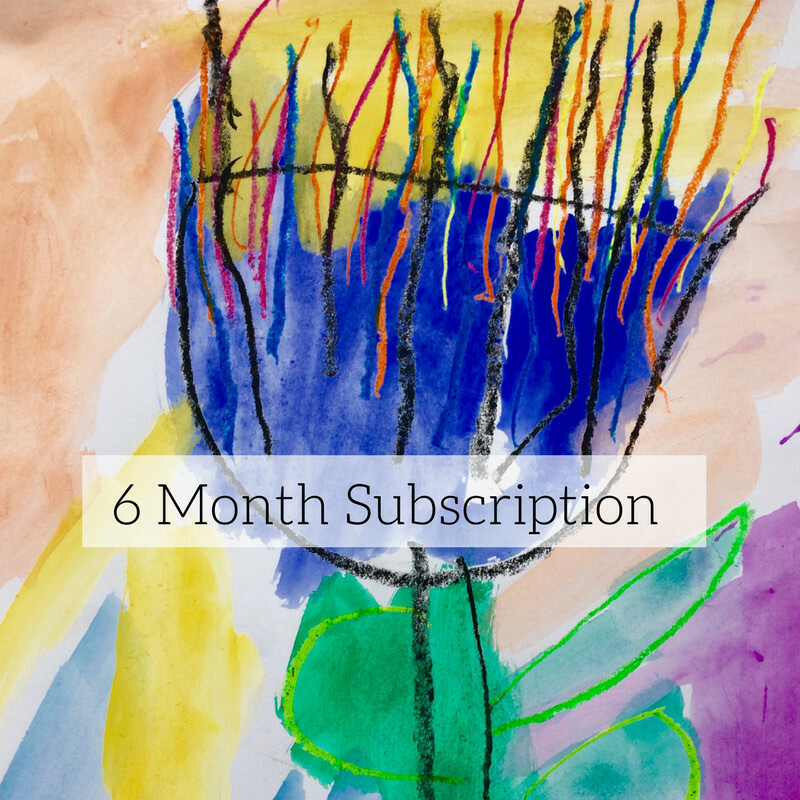 The monthly packs build on skills and knowledge and continue to develop your child, offering something new every month. 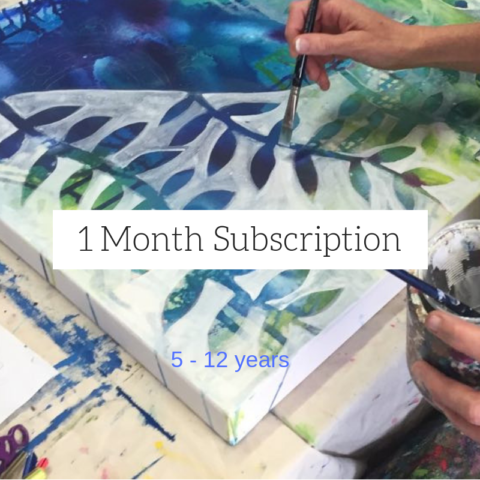 No two projects are repeated, so you can confidently continue with subscription knowing every delivery will amaze and inspire. Perfect for children who just love art but are unable to attend regular classes or arty children always looking for a new skill or idea. 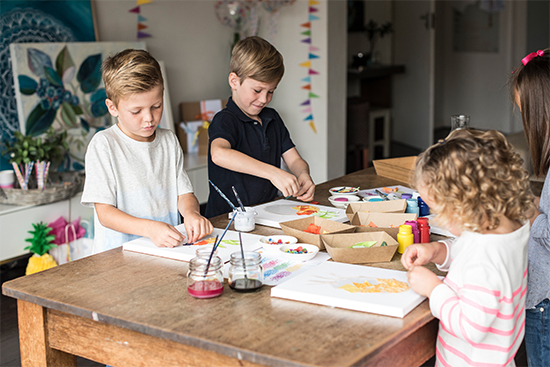 Great for Nanny’s and Grandparents who would love to have all the planning and preparation done and ready to create. You can purchase individual boxes as per below by clicking on the corresponding month you would like it delivered. Boxes will arrive in the first week of that month. 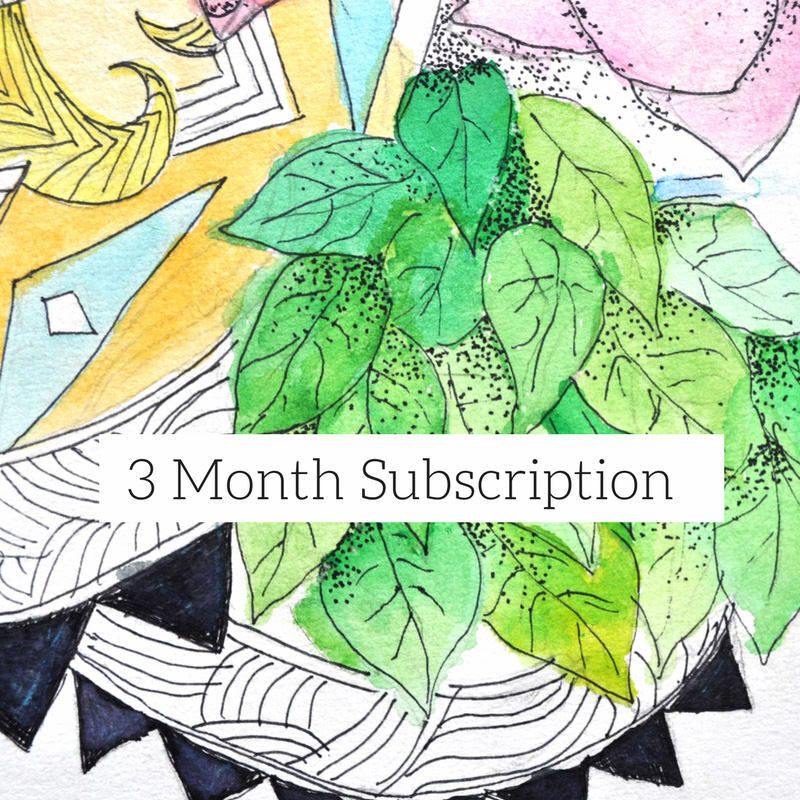 Or you can purchase a subscription of 1, 3 or 6 months and pay upfront, boxes will arrive at the beginning of the next corresponding month and continue each month for the time span purchased. There are two age groupings for each monthly pack. The Pre School pack is for children aged approximately 3 – 6 years and encourages each child to build up and learn the basic skills of seeing to be an artist. 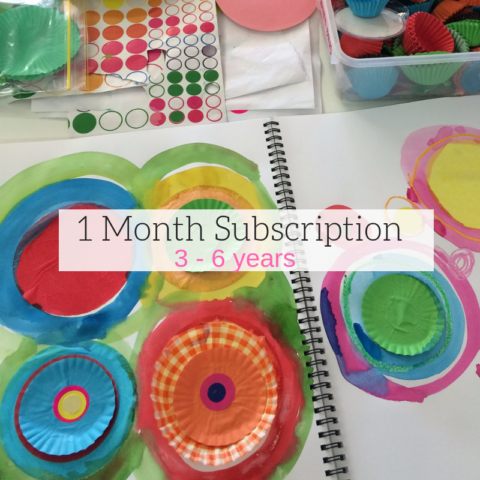 Each session is broken into age appropriate skills, include parent prompts and how to, so you can work together with your child to develop skills and create amazing art. 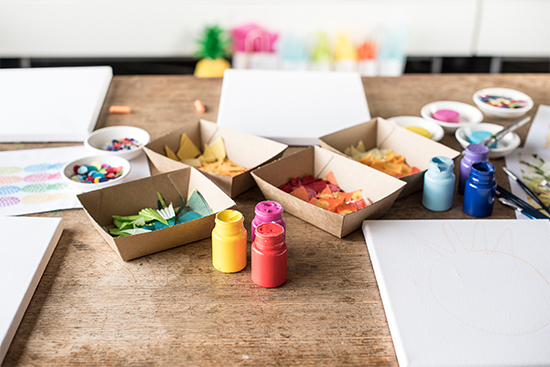 The School Age pack, for children from 5 years and up is ready for your child to create, parent prompts are still provided however all packs can be completed by a child on their own. Everything is included for 4 or 5 art projects, skill and artistic development.